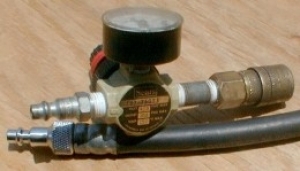 Homemade engine cylinder leakdown tester featuring an integral regulator. Nice looking setup. Looks industrial grade.